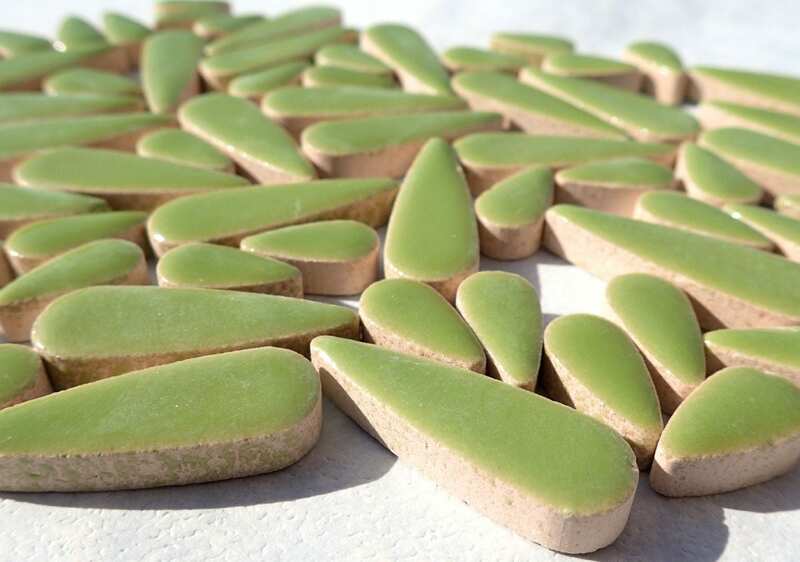 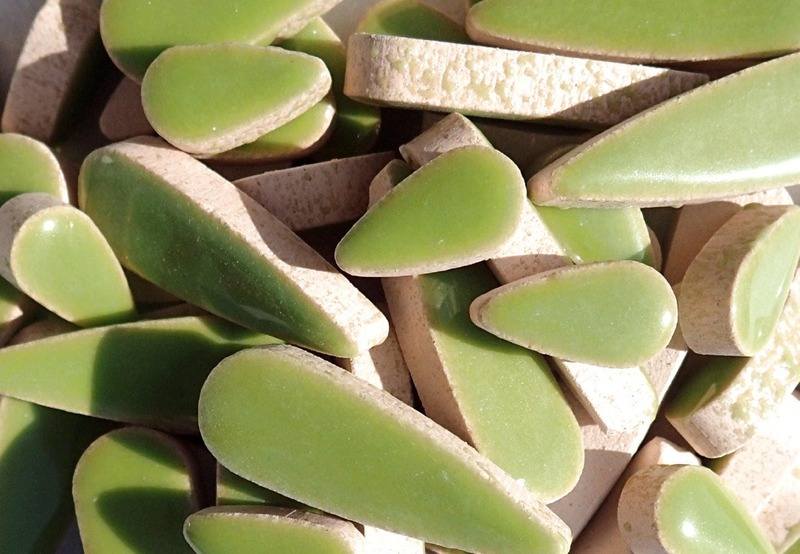 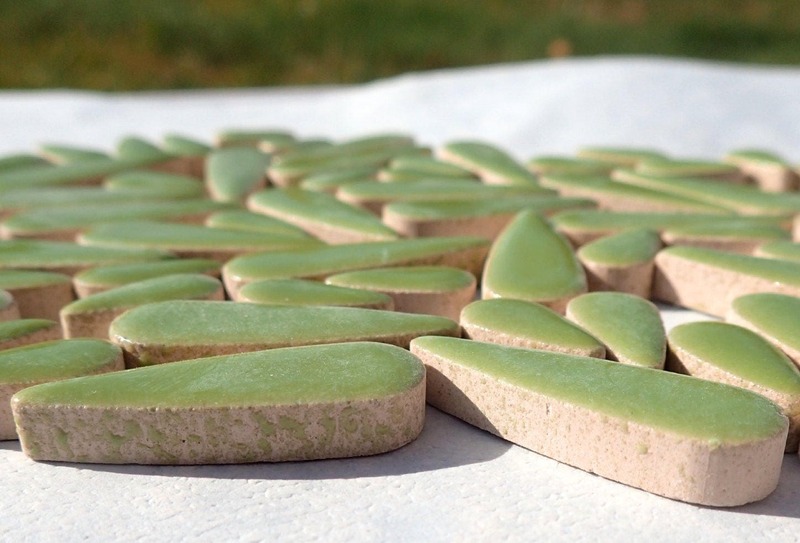 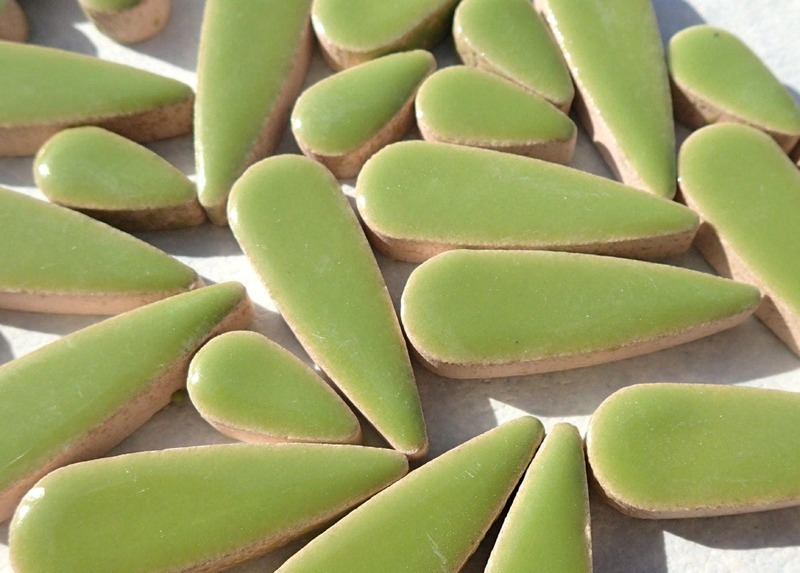 Kiwi Green Teardrop Mosaic Tiles - 50g Ceramic Drops in Mix of 2 Sizes 1/2" and 3/5"
These teardrop tiles come in a mix of 2 different sizes: 3/5" long and 1/3" wide (15.3mm x 8.5mm) for the smaller drop, 1.2" long and 3/8" wide (30mm x 9.5mm) for the larger drop. 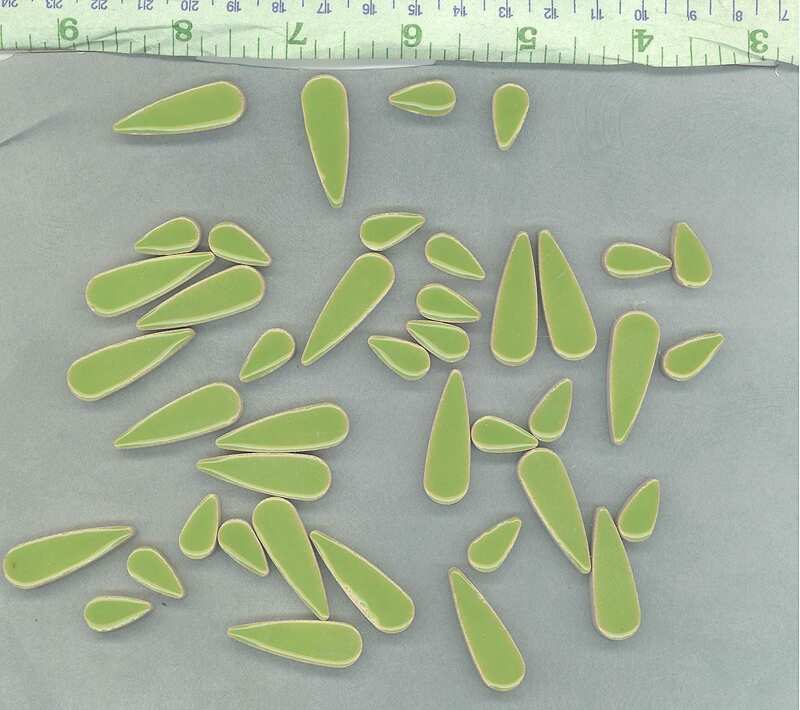 Each drop is 1/5" (5mm) thick. 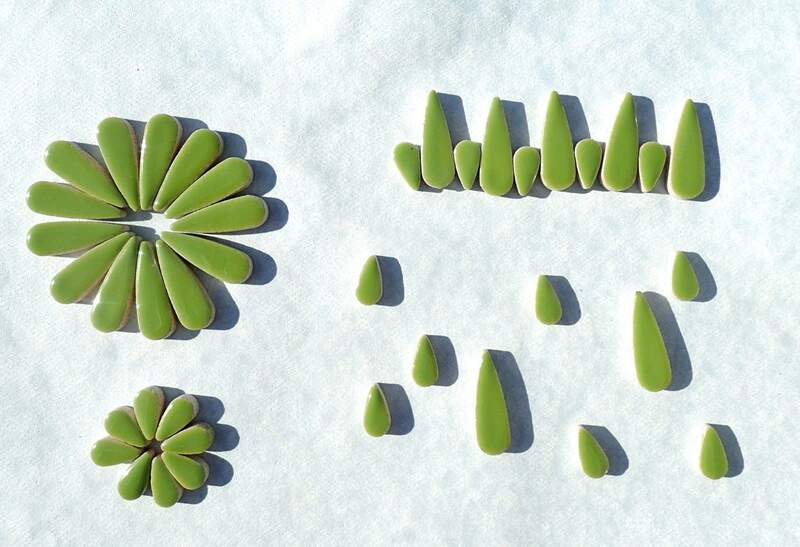 These teardrop shapes work well for raindrops and water, as well as flower petals and interesting borders. 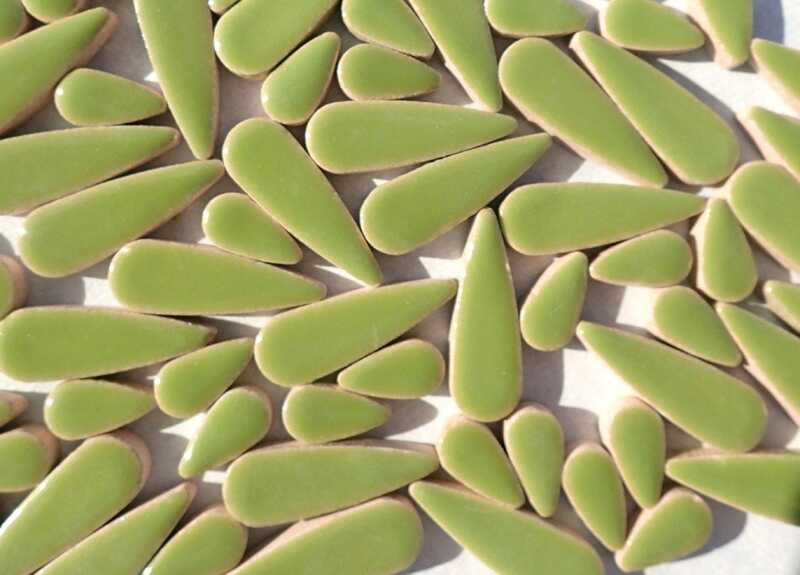 These are a medium green color.